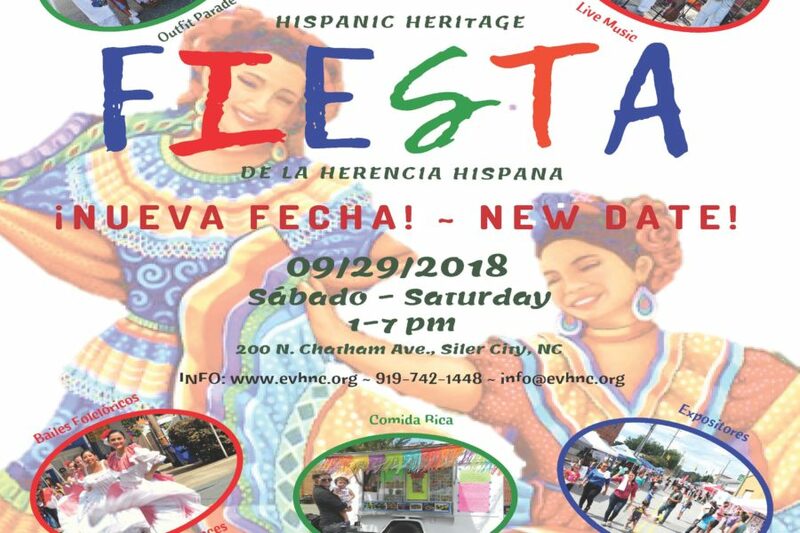 Due to the hurricane, the new date for the Hispanic Heritage Fiesta is Saturday, September 29, from 1 to 7 pm in downtown Siler City. Please help us spread the word! Stay safe during the storm – check out our Facebook page for more information about shelters and other resources. 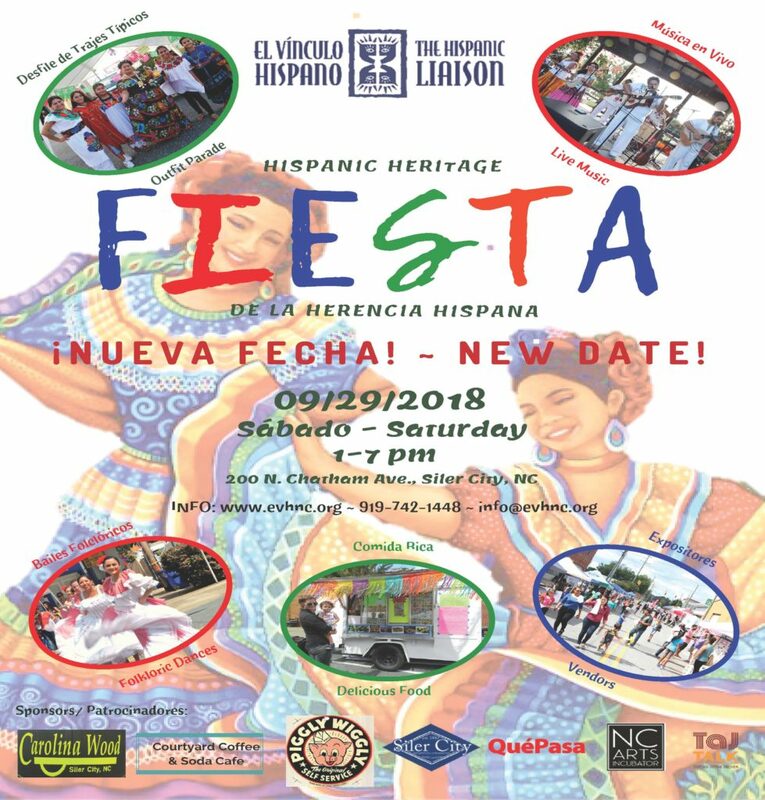 Fiesta is a celebration for the whole community with live music, traditional dances, kids’ games, over 40 booths from businesses and agencies, art exhibit by Jose Manuel Cruz. We’ll also have a fabulous parade of traditional and quinceañera outfits and delicious food! We hope to see you at Fiesta!